This page covers all the details you need to plan for your session. Take a few minutes to read it through & feel free to shoot me an email if you still have questions! 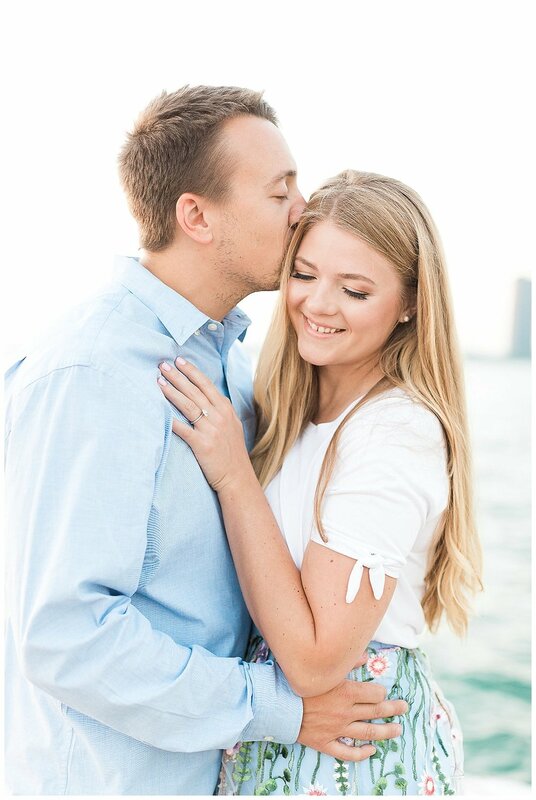 If you plan to use your engagement pictures for your save the dates, you’ll want to schedule your session 6-9 months before your wedding date. 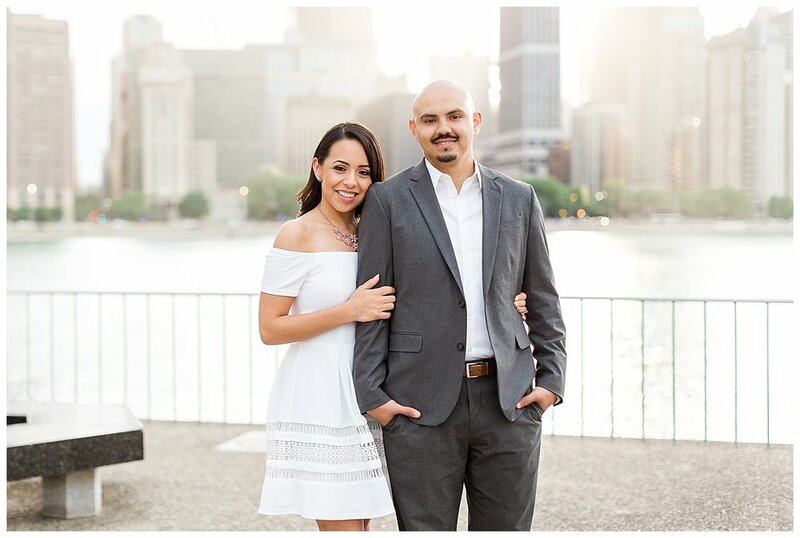 For example, if your wedding is in June, we’ll schedule your session for fall (September-November). *Because all sessions are shot outdoors & the Midwest is soooo cold in the winter, no sessions will be available during the winter months. This ensures you'll both be comfortable and look your best & my camera will be protected. Where Should We Take Our Pictures? This is probably the question couples ask most! Luckily I LOVE helping you pick pretty locations and have lots of examples to help you decide. Interested in a different location? Let me know! One thing to keep in mind is many locations now charge permit fees for photography. If you'd like to shoot at a location that requires a permit, you are responsible for contacting them & paying the fee. Ahhh, my favorite part!! 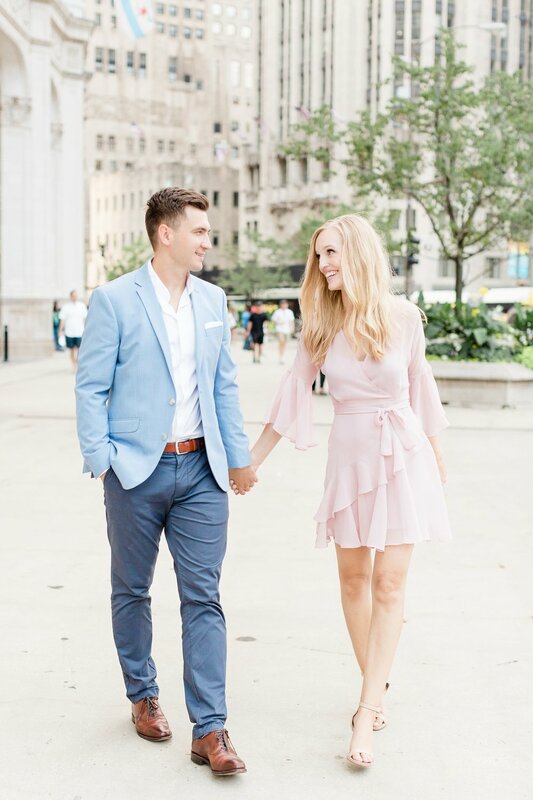 Dressing up for your engagement session can be a lot of fun & I love helping you decide what to wear. Download my full style guide here. Hair & Makeup: Some brides have already chosen who will do their hair and makeup on their wedding day & like to use them for the engagement session too! But if you need any suggestions, my FAVORITE artist is Makeup by Jaycie - she's amazing! Her information is here. Where to Find Outfits: I LOVE Rent the Runway! I used them for my own anniversary session last year and felt so glam haha. I have an account with them & if you'd like to give it a try, you'll receive a $30 credit with this link. Need Inspiration? Sneak a peek at a few cute outfit combinations here. When Will We Receive Our Gallery? Your gallery will be ready to go & delivered via email 4 weeks after your session takes place. 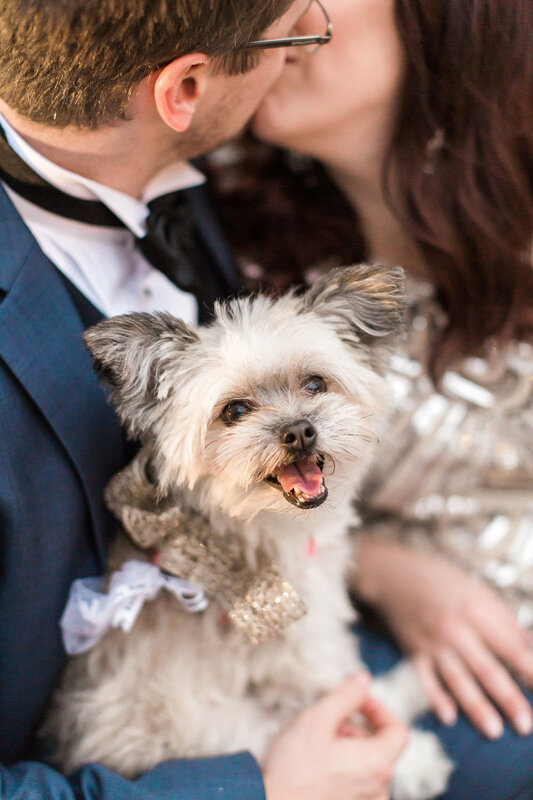 Meeting your dog makes my heart happy & I am thrilled when couples decide to bring their fur baby to their session. For the best experience, ask a friend or family member who lives nearby to join us for the first 15 minutes of your session. We'll spend that time photographing you with your pet. Then, they can head home or be cared for by your guest & we'll spend the rest of the session focused on you two! It also helps to bring a few treats or a noisy toy to help your dog look toward the camera. My priority is always 1) to make sure you are comfortable & taken care of and 2) to set us up for success by choosing to shoot in the best lighting & weather conditions possible. I watch the forecast before every session, and if there's a chance of rain, I'll email you a notice about 36 hours before your session. Because the weather changes so often, I usually wait to make a decision until noon the day of your session. If there's a 50% chance of thunderstorms, we'll reschedule for the following day or week. If there's a 10% chance of light rain and you feel comfortable moving forward, I'll meet you at our scheduled time with cute umbrellas in hand!